One of Sydney’s most notable landmarks was transformed into a Big Mac over the weekend as part of a campaign McDonald’s is running over November. 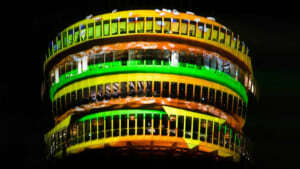 Yellow and green lights beamed onto the Sydney Tower to promote its ‘30 Days, 30 Deals’ campaign that kicked off with discounting a Big Mac to $2. Executed by OMD, the activation officially launched the month of discounts, which is only available via the Maccas app. The campaign aims to drive app downloads and sales at the fast food retailer nationally. 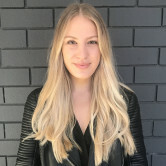 McDonald's Australia marketing director Jo Feeney says the month of deals deserved to be celebrated with a larger-than-life projection of the iconic burger. As part of the campaign, McDonald's is pushing social videos across Facebook to announce the discount of the day.